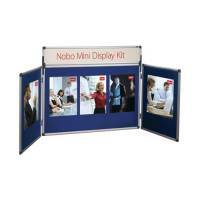 Nobo Blue Mini Desktop Display Kit Pack of 1 Double sided display system for desk-top use optional carrying case separate item. 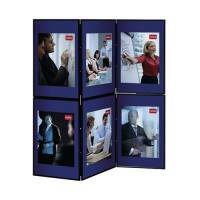 Consists of a central panel 900mx600mm hinged to two side panels of 450mmx600mm. Provides a double sided pinning surface covered in high quality fabric. 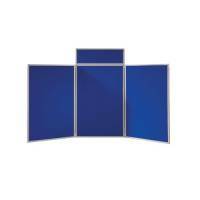 Nobo Blue Lightweight Showboard Extra 3 Panel 1901710 Pack of 1 Large format 3 panel display board featuring strong lightweight panels with 360 hinges. Unfolds in seconds no tools required. Double sided nylon loop fabric. Blue and grey reverse. Panel size W900 x H1800mm. 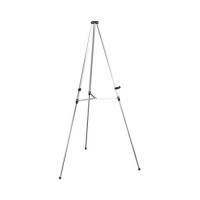 Nobo Aluminium Grey Telescopic Display Easel Q50E Pack of 1 "Fully adjustable light-weight telescopic tripod display easel for use with cardboard panels, notice-boards, whiteboards etc. Adjusts from 1m to 1.6m. Cross braces hold legs steady. 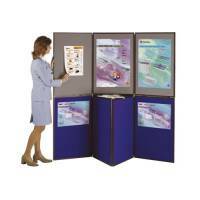 Adjustable display holders lock onto place on legs. Supports up to 12 kg." Sellotape Sticky Hook 25mmx12m 1445179 Pack of 1 "Self adhesive hooks to be used in conjunction with self adhesive loops which stick together and detach as often as required, ideal for mounting posters, signs and general display material. 25mmx12 metre bulk roll of adhesive hooks." 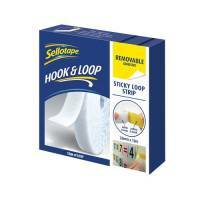 Sellotape Sticky Loop 25mmx12m 1445182 Pack of 1 "Self adhesive loops to be used in conjunction with self adhesive hooks which stick together and detach as often as required, ideal for mounting posters, signs and general display material. 25mmx12 metre bulk roll of adhesive loops." 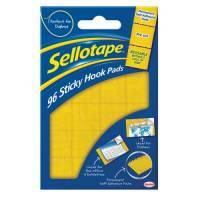 Sellotape Sticky Hook Pads (Pack of 96) 1445170 Pack of 1 "Self adhesive hooks to be used in conjunction with self adhesive loops which stick together and detach as often as required, ideal for mounting posters, signs and general display material. 96 pads per wallet. 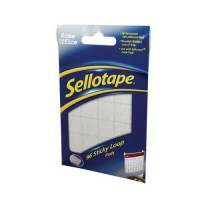 20mmx20mm"
Sellotape Sticky Loop Pads (Pack of 96) 1445184 Pack of 1 "Self adhesive loops to be used in conjunction with self adhesive hooks which stick together and detach as often as required, ideal for mounting posters, signs and general display material. 24 of each per wallet. 20mmx20mm." Sellotape Sticky Hook and Loop Strip 1445183 Pack of 1 "Self adhesive hook and loop fasteners, ideal for mounting posters, sign, charts and general display material. Stick together and detach as often as required. Hook and loop strip (wallet) 45cm x 2cm." Sellotape Sticky Hook Spots (Pack of 125) 1445185 Pack of 1 "Self adhesive hooks to be used in conjunction with self adhesive loops which stick together and detach as often as required, ideal for mounting posters, signs and general display material. Box of 125 hook spots each 22mm diameter in a dispenser box." Sellotape Sticky Loop Spots (Pack of 125) 1445181 Pack of 1 "Self adhesive loops to be used in conjunction with self adhesive hooks which stick together and detach as often as required, ideal for mounting posters, signs and general display material. 100 spots (box) 22mmx1.25m." 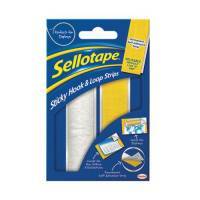 Sellotape Sticky Hook and Loop 6m Strip 1445180 Pack of 1 "Sellotape Sticky Hook and Loop 6 Metre Strip 4100 830278 Stick together and detach as often as required. 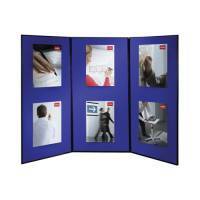 Ideal for mounting signs, charts, notices and general display material." 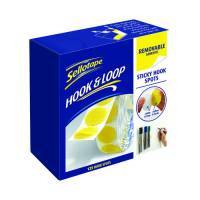 Sellotape Sticky Hook Spot Pk400 1445175 Pack of 1 Permanent self-adhesive hook spots which will stick to most surfaces. 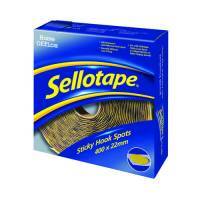 Use with Sellotape sticky loop spots or independently. Reusable without loss of grip. Hook can be used to mount directly on exhibition display systems. 400 hooks. 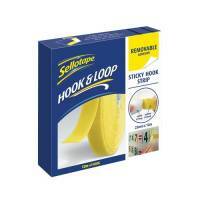 Sellotape Yellow/ White Sticky Loop and Hook Pads (Pack of 24) SE4542 Pack of 1 "Self adhesive loops to be used in conjunction with self adhesive hooks which stick together and detach as often as required, ideal for mounting posters, signs and general display material. 24 pads per wallet. 20mmx20mm." 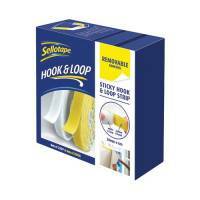 Sellotape Hook and Loop Removable Pads (Pack of 24) 2055468 Pack of 1 Sellotape Hook and Loop Removable Pads 2055468. Removable self adhesive hook and loop pads. Can be removed or repositioned. Pack of 24 pre cut pads. 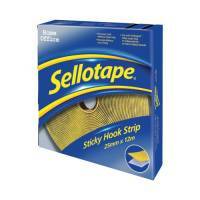 Sellotape Hook Strip 25mmx12m Removable Yellow 2055467 Pack of 1 Sellotape Hook Strip 25mm x 12m Removable Yellow 2055467. Removable self adhesive hook strip. Can be removed or repositioned. 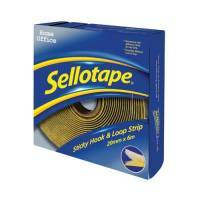 Sellotape Hook and Loop Strip 20mmx6m Removable 2055786 Pack of 1 Sellotape Hook and Loop Strip 20mm x 6m Removable 2055786. Removable self adhesive hook and loop strip. Can be removed or repositioned. 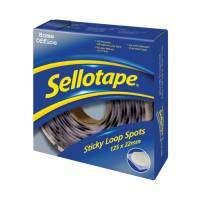 Sellotape Loop Spots Removable White (Pack of 125) 2055790 Pack of 1 Sellotape Loop Spots Removable White 2055790. Removable self adhesive loop spots. Can be removed or repositioned. Use with hook spots. 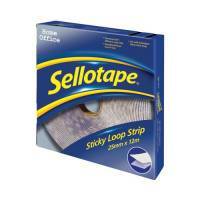 Sellotape Loop Strip 25mmx12m Removable White 2055797 Pack of 1 Sellotape Loop Strip 25mm x 12m Removable White 2055797. Removable self adhesive loop strip. Can be removed or repositioned. 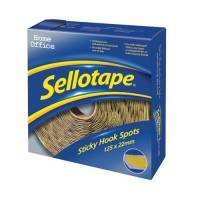 Sellotape Hook Spots Removable Yellow (Pack of 125) 2055787 Pack of 1 Sellotape Hook Spots Removable Yellow 2055787. Removable self adhesive hook spots. Can be removed or repositioned. Use with loop spots.